Here we have a Mattel Cars 2 release from last year...Miles Axlerod with open hood! As seen in the screenshot above, this version of the character is of course based on the moment when Miles is revealed to be the true villain mastermind of the film. This is a 1:55 scale diecast car and was part of the 2013 "Palace Chaos" sub-line (number 4/9). 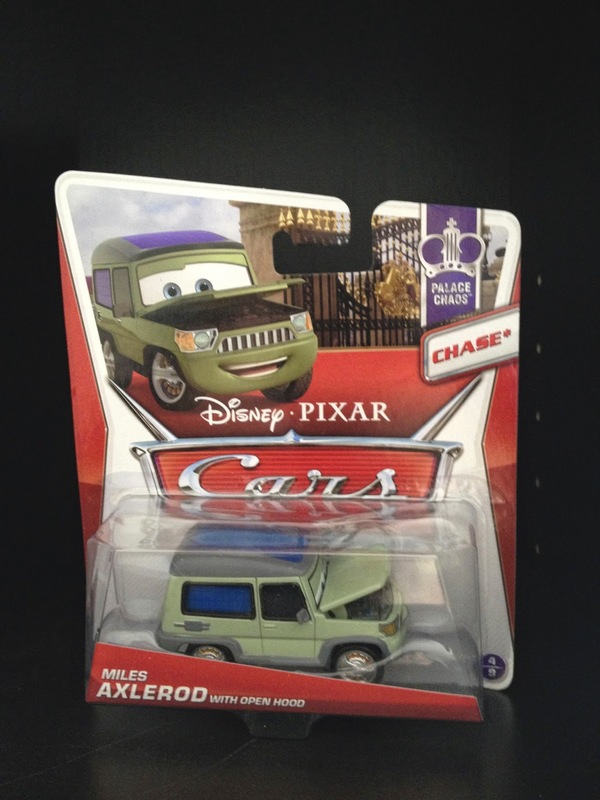 He is a "Chase" edition car, which means a limited quantity of these were made.